On Tuesday March Eight the University of Kansas announced the 2016-2017 KU Common Book. The Committee selected Between the World and Me by author Ta-Nehisi Coates. The deciscion behind the book came from the opportunities to be able to bring up conversations of inclusion and acceptance during these common book discussions. “What we really try to focus on is what is the right choice for the university of Kansas,” said the Associate Director of Academic Programs, Howard Graham. S ome students however believe that the books are more of a waste of time unless required by a class. This appears to be a common theme among students according to a recent Facebook poll. “If I needed to do it for a class I would have read it but if not, I would rather pick my own reading,” said Dan Sparacino a freshman at the university. 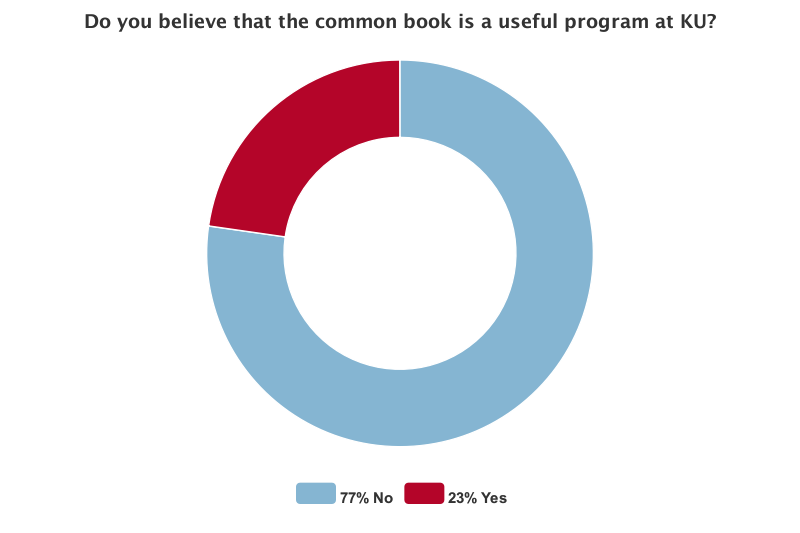 Other students also have thoughts on ways that the KU Common Book program could be improved. Some of these issues are known by the university and are things they are trying to improve upon. The University also places a reading guide in the back of the book to help students over the summer. This is the fifth year which KU has done the KU Common Book Program.